An essential piece to any agency is a project management system. It is used by your professionals to assign tasks, share messages, track milestones, collaborate with team members and keep clients up-to-date. If you’re an agency looking to integrate a project management system into your daily operations, you’re making a good decision. But… (you knew there’d be a “but”). …Agency projects start long before a client becomes a client, as project details and scope are defined in the business development process. And, projects wrap up long after the work is done, as invoices need to be sent and paid. In between, there is time tracking and reporting that needs to be done to ensure processes and employees are as efficient as possible. Following are 7 reasons why your company may be better off integrating a full agency management system, instead of just a project management system. As a service provider, the time tracked working on a project dictates what can be billed and for how much. Many project management systems don’t offer time tracking features, and using a second tool to capture timesheets creates more systems to manage and greater potential for error. 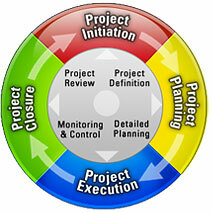 An agency management system tracks time directly against the project. With one system, you can see if billable hours aligned with estimates (or if you under-forecasted the project), while simultaneously checking the status of project work to see how much, if anything, still needs to be completed. Billable hourly rates can vary by individual. For example, a senior-level professional’s time is worth more to your agency than an intern. Knowing who worked on what portion of a project (and for how long) is the only way to ensure invoices cover the actual cost of the project. With an agency management system, you are able to associate specific hourly rates with each professional. At any point, you can then run a report to view who worked on a project, the number of billable hours invested and the total cost of the project. Throughout a project, your agency will likely incur some expenses (such as printing, mileage or postage) that you’ll then want to bill to the client—ideally at a bit of a markup. With an agency management system, track all expenses directly in the project, and even tack on any additional upcharge. Unlike project management systems, these expenses are then automatically fed straight into invoices. If everything goes as planned, the quote you sent to a prospective client will turn into a project for your agency. With an agency management system, the process of turning a quote into a project happens automatically as soon as you click the “Won” button. This saves you time, and eliminates the threat of project details getting lost in the handoff from business development to account team. How efficiently your agency can get a project done has a direct impact on your profitability, especially if you lock-in quoted pricing or offer flat-fee services. Agency management systems can generate reports on how efficiently a project was completed. Look at whether there were project tasks that bogged down work, and evaluate employee hours to flag productivity issues. Especially for small- and mid-sized agencies, employees are required to wear many different hats, including business development, account management and finance support. In addition, many of these hats are constantly shifting between employees as they move up in your agency management structure, or move on to other companies. Defining, implementing and then managing internal agency processes using an agency management system will reduce the amount of time agency employees spend on administrative tasks by streamlining the flow of information and automating much of the process. It will also lower the learning curve for those taking on new responsibilities. What really keeps a client around long term is how much they enjoy working with you and your colleagues. Finding ways to demonstrate how much you value your clients can pay dividends. Because agency management systems include contact management, you are able to document valuable details about your clients, including birthdays, anniversaries, children’s names, favorite restaurant, etc. Use this information and notifications throughout the year to show that you see them as more than just another invoice. If you’re looking for project management systems, you’re going down a good path. You realize a need for better oversight and management of client work. But, don’t sell yourself short. Maximize the efficiency of internal processes by exploring technologies that wrap all aspects of your agency, from lead management to accounting, into one platform. Are you using technology to streamline agency management? If so, what’s been the impact?